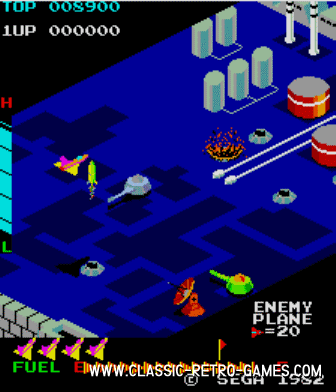 Zaxxon is a classic game from 1982 that was, and is, unusual as an isometric shoot-em-up. The unusual gameplay is not the only reason why this game has a large fanbase. Its graphics and gameplay are just as interesting as the gameconcept. The plane has different positions while steering which gives the feeling of really controlling the plane. Also while descending or ascending, the shadow of the plane on the surface would add up to the feeling of actual depth. 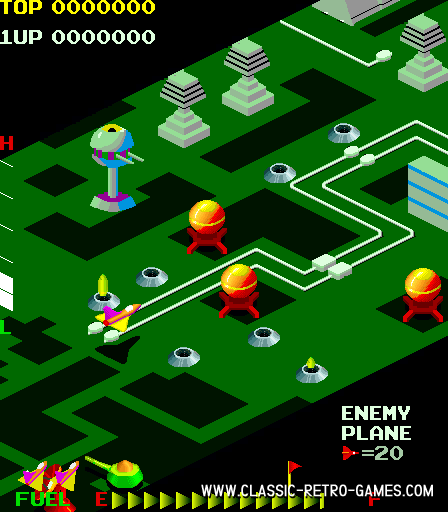 These little details but also the sound effects make Zaxxon a true legendary game. What is interesting as well is that while a portrait mode view would be completely normal for ColecoVision, it's not for regular homecomputers. Even though, this remake remains true to the portait mode view! 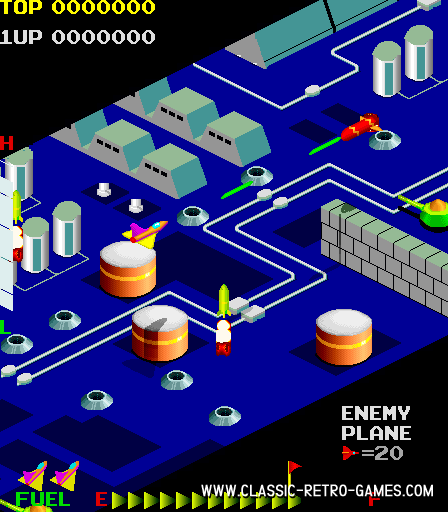 This PC remake of Zaxxon by Pankhurst has great graphics and similar gameplay as the original by Sega. 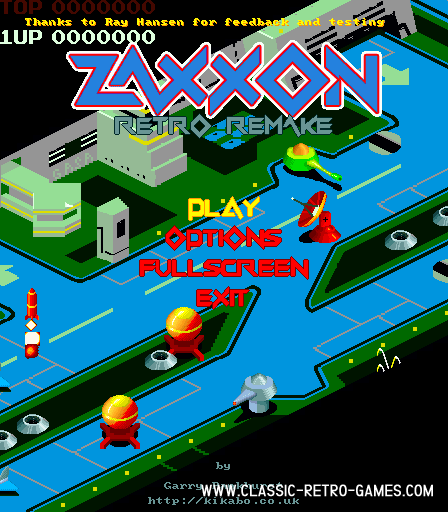 If you enjoyed playing Zaxxon on your homecomputer or on the arcade, be sure to grab this free remake for Windows. Just download and play forever! Currently rated: 4.6 / 5 stars by 291 gamers.